It is made from tissues. Size of the product: (W) 10 cm x (L) 15 cm. Potli bags are great addition of style to your wardrobe. They are perfect for evening occasions and also for weddings. 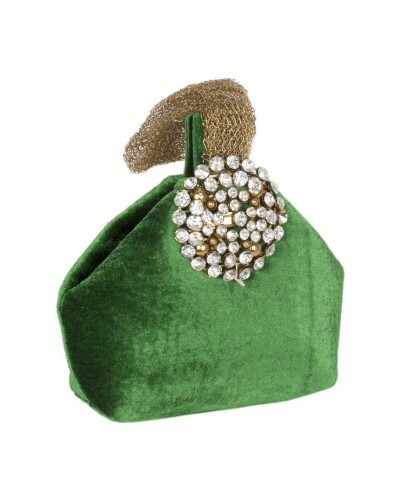 Made out of high quality tissue fabric, this green potli bag has a huge stone studded design on top. It also has a handle for holding the potli. It is durable and can be washed as well after using.